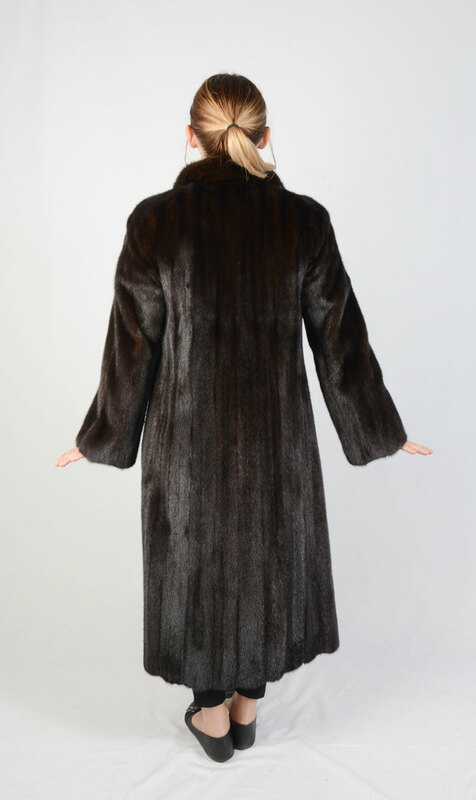 THE CHRISTIES BROTHERS FULL LENGTH MINK COAT: Full length mahogany mink coat with 3 hook and eye closures and one button closure at the neck. 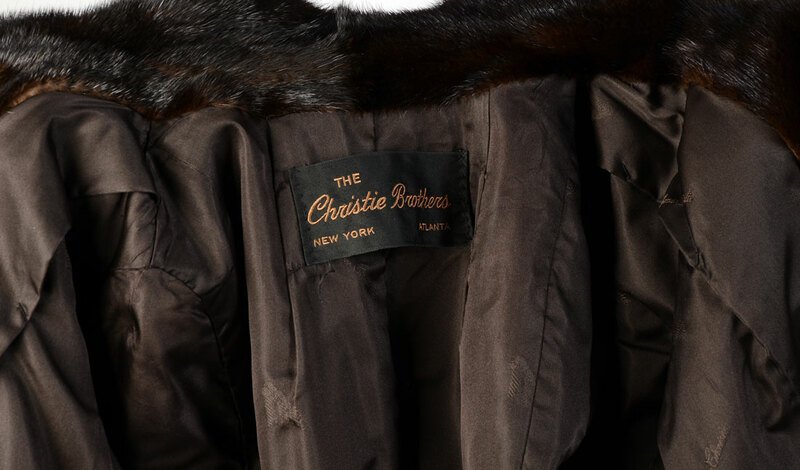 ''The Christies Brothers'' label. Approx size 2. CONDITION: Right front pocket needs repair at the seam. Otherwise in good condition.